We've unpacked all of the boxes from our move. Ok, maybe there's one small box left. Anyway, we're mostly settled in so it's time to start making the house into our home. Home decor projects overwhelm me so I take baby steps. 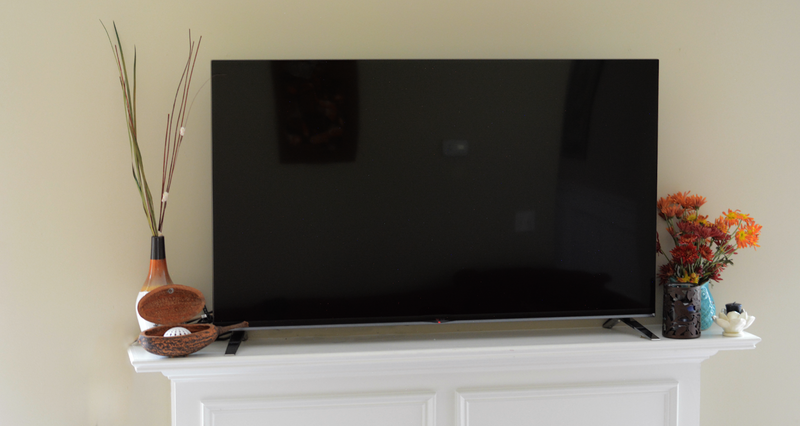 Since fall is here, it's a great time to focus on a small mantel makeover project. While perusing Pinterest like a crazy person and not able to put my finger on exactly what I was looking for, I took to pen and paper and made a list of the elements I wanted and that turned out to be the blueprint for how I'll style this area going forward. I'd like to think that I will change up my mantel to match the seasons and holidays but that may or may not happen. I know me. I wanted something that could be seasonal and not. If I'm having a party 6 months from now and I have pumpkins out that may look a little weird. So no pumpkins or an insane amount of orange were used in this project. Instead, I went with a mostly neutral color palette. I can use my vases year around if life gets to busy. The vases can hold different color flowers and foliage whether real or fake. I have one of each on the mantel right now. Candle holders were used so no matter the color of the candle, it will always match the decor. The personal touches make all the difference. 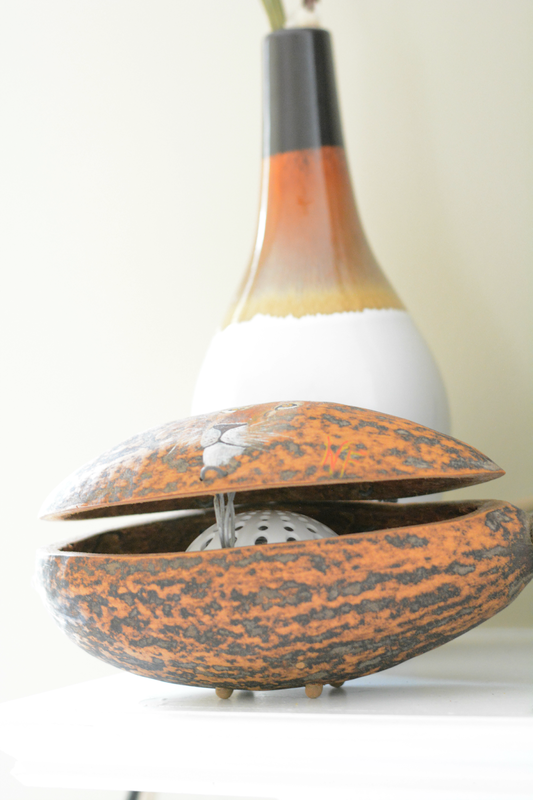 I was able to incorporate a gourd from our travels to Africa and very fitting for the fall season. 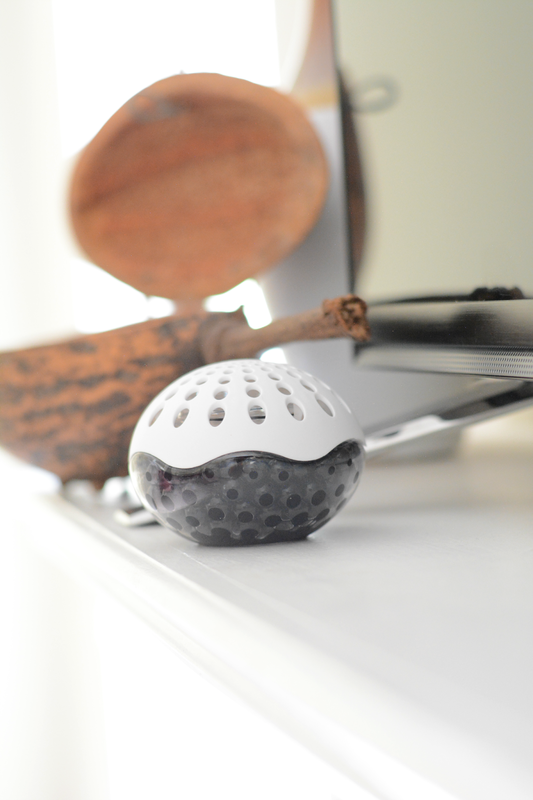 The gourd box also doubles as a nice holder for the fragrance beads. I also used candles as they set the mood. It was hard to narrow it down with such a large variety on the Walmart assortment page. 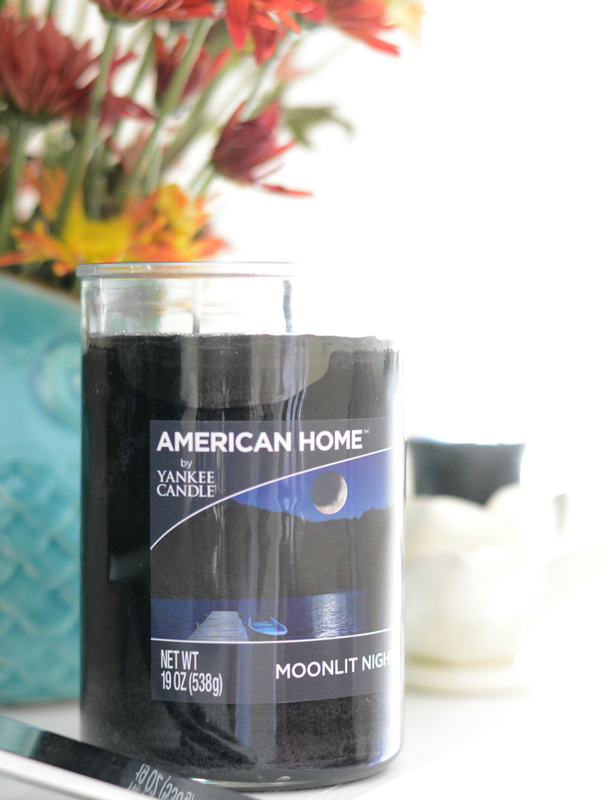 American Home™ by Yankee Candle® brand Moonlit Night turned out to be the correct choice. The fragrance is fresh and not overly sweet. It's peaceful with a mix of cedar, oak moss, and clove. It’s calm and quiet. Crisp but relaxing. Exactly the mood I want to convey when we're entertaining and generally when we're winding down for the night. Decorating with candles has to be the most budget friendly option ever. It's long lasting and inexpensive. American Home™ by Yankee Candle® brand offers a great price. I bought the large tumbler candle, fragrance beads and a small votive for under $20. The fragrance beads alone last 30 days and was less than $4. We haven't had candles around in a while because we didn't want to have V around the flame. Now that we have a mantle, it's a whole new world of home fragrance! I did read through the instructions very carefully though and I encourage you do the same. There's a proper technique for safety and long lasting fragrance. Rich colors are warm and inviting. While I do love autumn color schemes, I don't want a full mantel of it. That made it difficult to find what I was looking for when consulting my diy decorator bible - Pinterest. I bought fresh flowers to represent those colors. We also have low windows that face out to lots of big, beautiful trees so we're already bringing the outside elements indoors just by opening the blinds. The rest of my decor choices for the mantel were very neutral except for the turquoise owl vase. 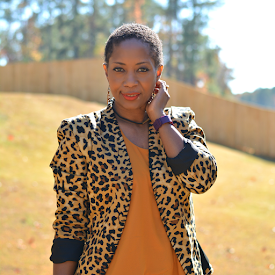 I need my bright pop of color! It will be my focal color even if I skip fresh flowers. 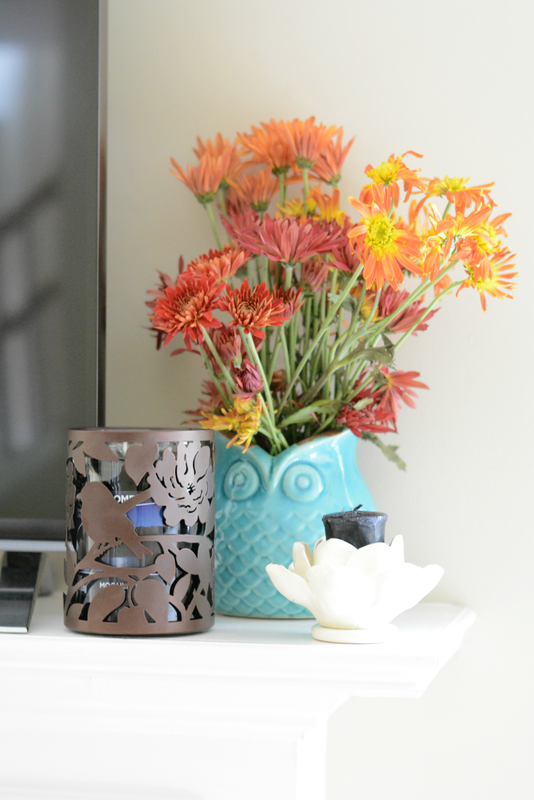 When I put these elements together, I found that home decor can be stylish, simple and completely affordable. Now, I'm thoroughly looking forward to opening our home to family and friends during the holidays. With the exception of our gourd, everything else was found at Walmart. 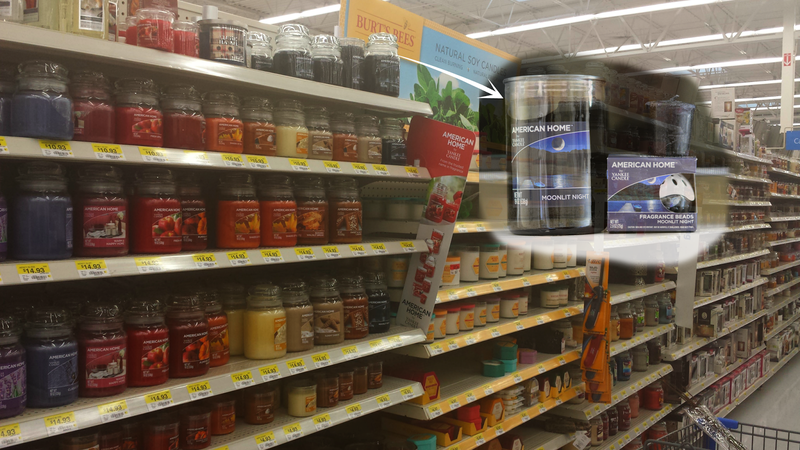 The candles were directly across from the vases in the home section. Convenient. 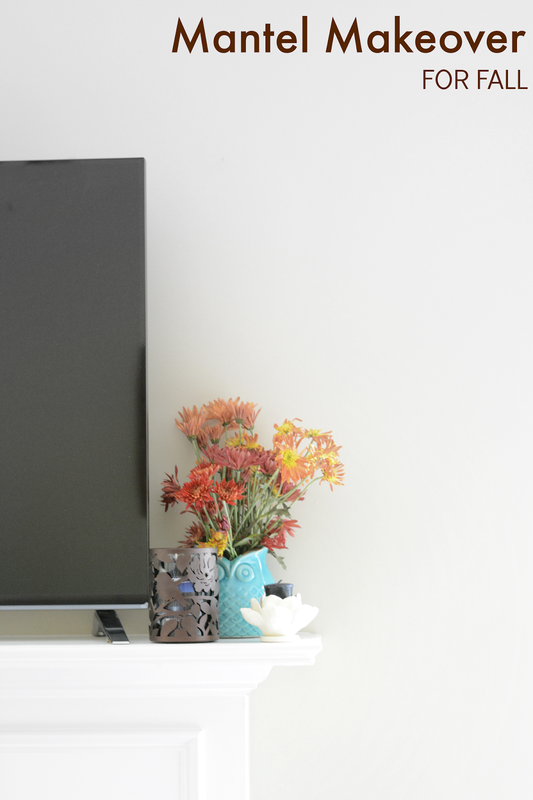 How do you like to get your home ready for the Fall?